Do you have bearings that are failing prematurely? 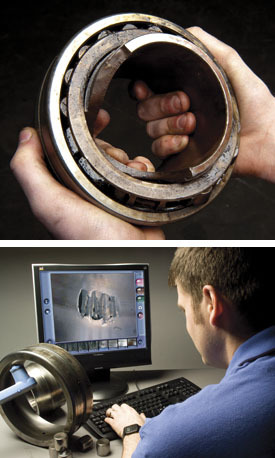 Analyzing bearing failures can show you the root cause. This knowledge allows you to take corrective action rather than simply continuing to replace bearing after bearing. We use the latest technologies to determine realistic measures to be taken that will improve bearing performance. Contact us for the solution.